This “found photo” is marked on the back “Michigan, 1940,” and is part of my collection of old photos. Don’t you feel cooler and more relaxed just looking at it? 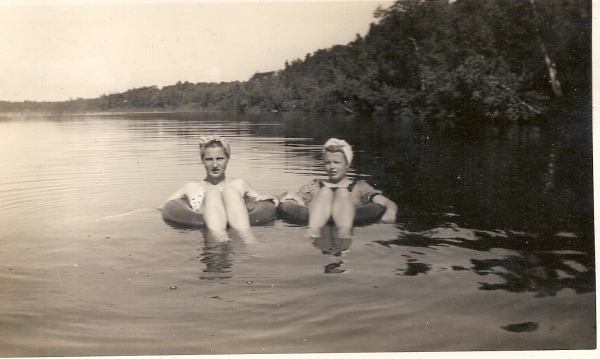 Tags: 1940s, bathing beauties, i have no ide who these people are, summertime, swimming, vintage photo i have no idea where this photo was taken. Bookmark the permalink. Being from MI myself, I enjoyed seeing this pic. :) I love MI in the summer.